SVG's annual Mobile Sports Production Yearbook is now available as a free digital edition. 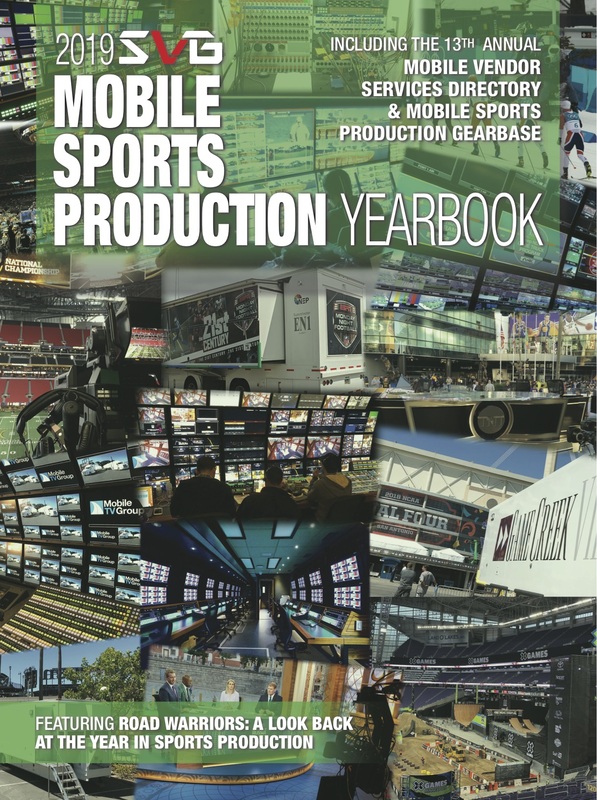 The 2019 Mobile Sports Production Yearbook, SVG’s annual overview of the mobile-production industry, is now available as a digital download. This year’s edition features profiles of the new trucks that hit the road in 2018, a roundup of the mobile-services providers serving the sports-broadcasting community, and a look back at the biggest sports productions of the past year. In addition, the 2019 Yearbook features in-depth discussions with a wide range of mobile-production executives and technical leaders, who provide their perspectives on the current state of the industry as well as the challenges and opportunities to come. Rounding out the 2019 Yearbook, the annual Gearbase Study provides a comprehensive list of the hundreds of trucks currently on the road in North America, including the gear they carry. CLICK HERE TO DOWNLOAD THE 2019 MOBILE SPORTS PRODUCTION YEARBOOK!